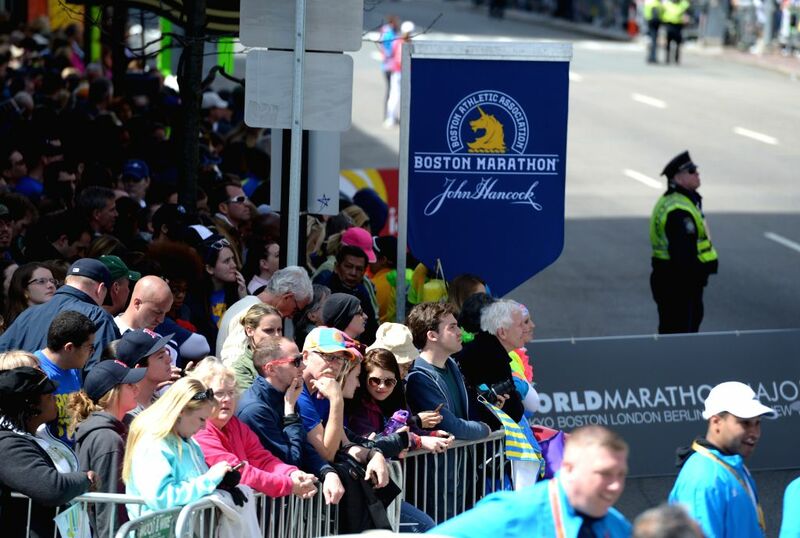 BOSTON, April 22, 2014 - Plicemen guard along Boylston street where the 2014 Boston marathon is held, in Boston, Massachusetts, the United States, April 21, 2014. 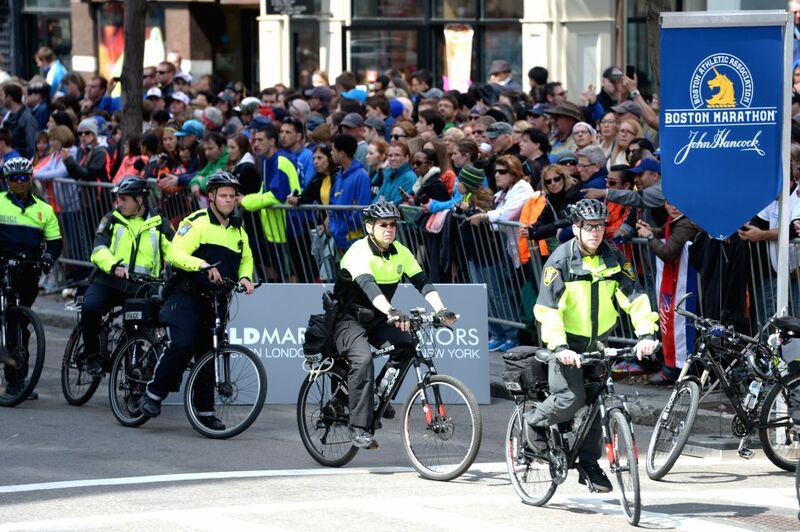 Under protection of more than 10,000 police, army forces, and security company staff, the runners participating in the 2014 Boston Marathon completed their race in safety. 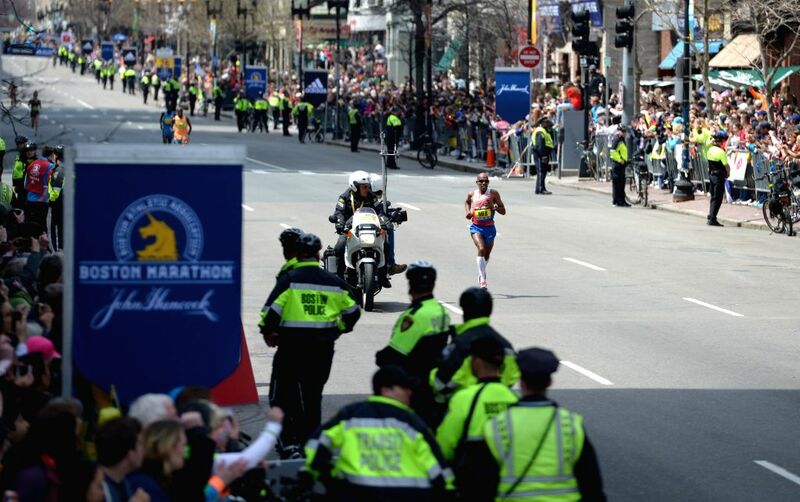 Meb Keflezighi of the U.S. runs to the finishing line during 2014 Boston marathon, in Boston, Massachusetts, the United States, April 21, 2014. 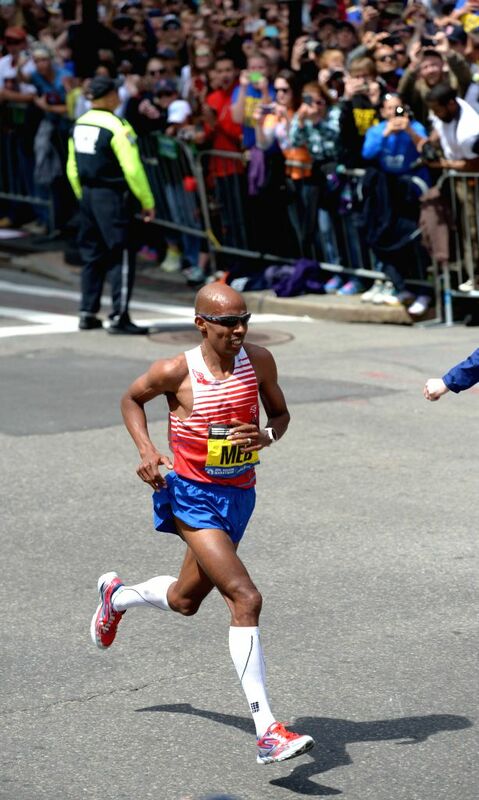 Meb Keflezighi claimed the title of the men's division with 2 hours 8 minutes and 37 seconds. Rita Jeptoo of Kenya runs to the finishing line during 2014 Boston marathon in Boston, Massachusetts, the United States, April 21, 2014. 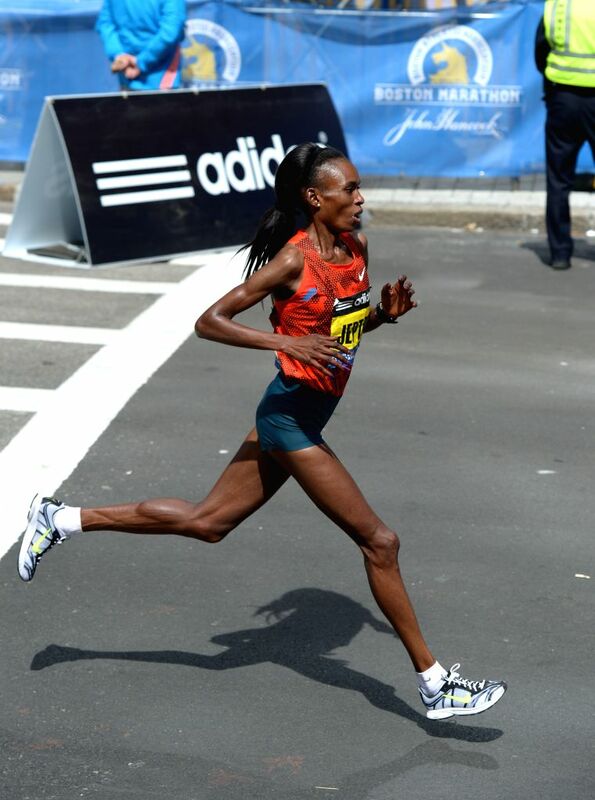 Rita Jeptoo claimed the title of the women's division with 2 hours 18 minutes and 57 seconds. 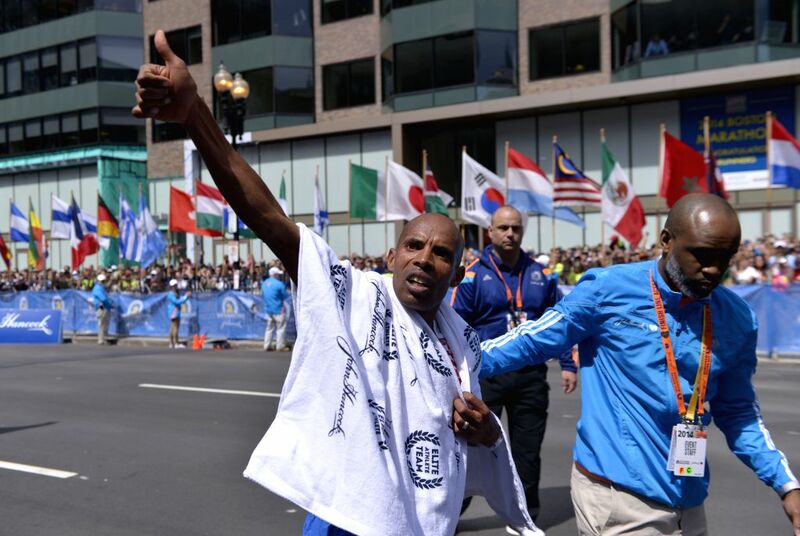 Meb Keflezighi(L) of the U.S. celebrates during 2014 Boston marathon, in Boston, Massachusetts, the United States, April 21, 2014.